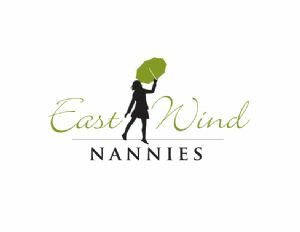 NannyAvailable.com is the best place to find top nanny or babysitter positions in Chicago, Illinois IL. If you are a babysitter or nanny in Chicago looking for a child care position, you can search and find work without any stress and in no time at all. Whether you are a student looking to make some extra money babysitting or you are a child care professional looking for full time or part time child care position as a nanny; NannyAvailable.com has it all. Create your very own profile that employers will be able to view and contact you with the best child care jobs in Chicago, and search through the job postings and contact employers if you think you can fill the advertised nanny or babysitter positions. Finding a babysitter or nanny job in Chicago has never been so easy. NannyAvailable.com makes finding child care jobs in Chicago easy and stress free. Posted April 23 by Swapna P.
Posted August 14 by Stephen P.
Posted August 4 by Conrad J. Posted June 12 by Angela P.
Posted March 23 by Karen W.
Posted September 23 by Mohamed A. Posted April 19 by Janelle W.
Posted February 23 by chizoba M.
Posted January 6 by Brandi R.
Posted October 7 by Kristen H.
Posted August 26 by Ruth /. Posted August 12 by Daniel D.
Posted August 7 by Stacey B. Posted July 3 by Randi C.
Posted June 26 by Judith . Posted June 21 by Marta C.
Posted June 11 by Mia L.
Posted May 30 by Alice M.
Posted May 21 by Beth A. Posted May 17 by Yvette A.